While working with the wrongfully injured is something we do on a daily basis, the team at our Santa Clara car accident law firm is not immune to the basic human response to certain avoidable tragedies: anger. It angers us when we see injured people and grieving families hurt by someone else’s bad choices, such as the decision to drink and drive or text behind the wheel. Another unnecessary risk with potentially tragic — and utterly avoidable — consequences is drowsy driving. The dangerous act of sleep-deprived driving angers our team, and this is part of why we serve the injured, but our emotions are nothing compared with the loss, pain, confusion and anger felt by the victims. According to The Press Democrat, CHP Officer Steven Rutledge was patrolling Highway 101 Northbound in Santa Clara on Sunday when he pulled over a driver at around 8 A.M. As he was leaning into his own vehicle, a Mitsubishi veered off the road and hit the police cruiser. Officer Rutledge, knocked unconscious by the impact, tumbled into his car. Fearing a fire, the driver who had been pulled over (who was thankfully uninjured) dragged Officer Rutledge out of the crumpled vehicle. The crash left Officer Rutledge, a new father who recently transferred to Sonoma County from Los Angeles, with two broken legs. The Mitsubishi’s driver, 22 year-old Rachel Garris of Corning, told officers she’d been at the Graton Resort & Casino prior to the incident. Initial evidence suggests she had been there since midnight and a CHP spokesman indicated fatigue may have been a factor in the incident. Edmunds, a resource on car prices and other automotive matters, begins its report on drowsy driving (originally written in 2007, but updated in July 2013) with a simple truth: “A tired driver is a dangerous driver.” The group cites National Highway Traffic Safety Administration (“NHTSA”) figures showing 20% of crashes stem from drowsy/tired driving. This translates into almost 100,000 passenger car accidents reported to police each year in which drowsiness or fatigue was the primary cause, with the accidents leading to more than 1,500 deaths and 71,000 injuries. Edmunds further suggests that many tired driver accidents go unreported. Interestingly, the majority of sleep-deficit crashes happen during daytime hours. However, sleep-related accidents that occur at night tend to be more serious, in part because they are more likely to occur on high-speed or rural roads and the driver is more often alone. Despite popular myth, long-haul truckers account for less than 1% of tired driving crashes, perhaps because federal regulations limiting them to driving 10 hours in a 24-hour span. What does matter, according to Edmunds? Both having non-standard work hours and holding multiple jobs raise the risk of a sleep-related crash. Night work increases the danger six-fold. Age also matters. Eighteen to twenty year olds are involved in five times more fatigued-driving crashes than any other age group. 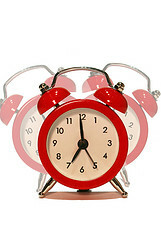 Several studies have linked early high school starting times to higher accident rates. One in seven licensed drivers aged 16 to 24 years admitted dozing off at the wheel at least once in the prior year, compared with 1 in 10 licensed drivers overall. Medical problems also matter. Sleep disorders are a significant issue. Sleep apnea doubles an individual’s risk of being in a car accident and makes a serious injury crash three to five times more likely. Numerous medications, including non-prescription drugs, also contribute to driver drowsiness. We imagine that, if they spoke honestly, the drivers at-fault in fatigue-related crashes would express remorse and admit “I knew better.” Sadly, regret can’t turn back time or heal the physical and emotional wounds of those injured by sleep-deprived drivers. It also doesn’t pay the bills. We represent people left injured and families left grieving following drowsy driving crashes in Santa Clara and throughout Northern California. If someone else was, literally, asleep at the wheel or too tired to drive responsibly and caused a crash that left you or a loved one injured, call Attorney Brod. Together with his team, he can help you recover money damages and remind drivers that being sleep-deprived is a danger, not a badge of modern-day multi-tasking honor.